Most of us make decisions out of fear, there is a powerful alternative and it doesn't take forever to learn and apply. Welcome to the webpage of the West Coast operation of the Gifted Development Center (www.gifteddevelopment.com) of Denver. Located primarily in Granada Hills (the northern most suburb of Los Angeles County), I offer a variety of services for the gifted and their families. I also travel frequently between Los Angeles, San Francisco and Seattle. Dr. Linda Silverman, GDC director and founder (author of Upside Down Brilliance) is intermittently available to provide her expertise on a case-by-case basis. As of August, 2007, we will also be offering full service IQ testing, including both quantitative and qualitative assessment protocols. In addition to assessment, I provide ongoing consulting, coaching, and psychotherapy for the gifted of all ages; this often includes my "Whole Child Assessment," my individualized program of qualitative assessment and a type of family therapy I've synthesized from the techniques of Virginia Satir and other systems and communication theorists; this way of providing support and guidance was developed specifically to address the unique needs of gifted children and their families. The result is a unique and highly effective cognitive/behavioral/ experiential therapy that is particularly well suited to meet the special requirements of the gifted population. The main difference between this and traditional therapy, however, is that it is an ever-changing co-creation process. The gifted, unlike most people who come in for therapy or coaching, generally start with some degree of awareness, and already have developed relatively complex internal coping processes--some productive and some defensive. I have noticed that most gifted people are comfortable using logic and analysis to solve problems. They come to therapy having already tried any number of unsuccessful logical solutions on their own or with therapists who didn't understand the gifted process. When they arrive in my office, many have hit a wall, or become involved in circumstances that are out of control; often they feel overwhelmed, confused, or depressed. They may doubt their giftedness, or their talents, or their worth; they may not be able to narrow their goals or have lost faith in their ability to achieve what they believe they want. Often they've seen other therapists and been unimpressed, frustrated at being misunderstood, or shocked at how easily they could manipulate the therapist. Frequently, therapists unfamiliar with the special needs and unique requirements of the gifted viewed their gifted processing styles as pathological, not understanding that hypersensitivity or asynchronous development is normal when viewed through the lens of giftedness. These disappointing past experiences with uninformed therapists can be especially disturbing if there were past hurts related to not being understood or accepted. As the director of this "West Coast Branch of the GDC" I wanted to introduce myself in a way that would provide more than just my credentials and experience, which can be found elsewhere on this site. But, as a gifted adult who has raised three gifted children, I believe that it is really my life experience, observations and intuitive abilities that have prepared me to provide transformational experiences for the people who seek my services; additionally, my core values of integrity, kindness, love and respect allow me to touch, and inspire my clients. Generally the first step towards helping people create the lives and relationships they want involves some kind of assessment. This can include quantitative and standardized tests, such as IQ or personality tests; or a variety of qualitative experiences, such as interviews, history-taking, and discussion. My role is to help people and families co-create their chosen path toward developing authentic, purposeful and fulfilling lives. This process is individualized based on the unique needs of the individual, couple or family. Some attend weekly meetings; others (particularly if driving a great distance) attend monthly sessions, sometimes on consecutive days. The gifted therapy process is neither linear, nor standardized, because the gifted gain insight and address problems on their own schedule, often in leaps and bounds; relief of symptoms can be immediate or progressive. 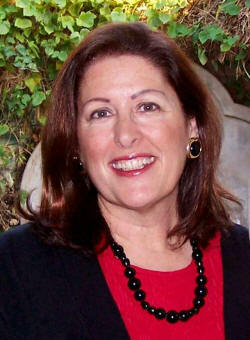 Linda Powers Leviton M.A. M.F.T.